PUMPKINS, PUMPKINS, PUMPKINS, PUMPKINS, PUMPKINS. Do you think you can grow the BIGGEST pumpkin in Baie D’Urfé. This summer the FFYGPA is holding a pumpkin growing contest. 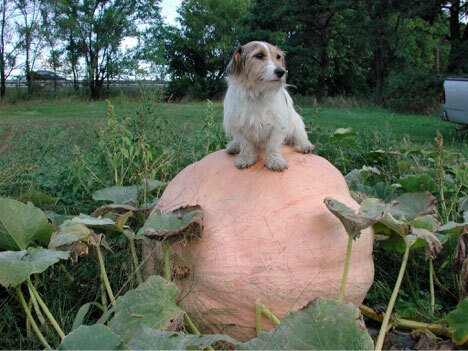 We have the seeds from a champion pumpkin (600 pounder) and the dirt, you plant it and give it your best care during the growing season. If your pumpkin is the BIGGEST you WIN a PRIZE! Come on kids, young and old. Challenge your friends, or maybe Tennis club versus the pool. Planting day is Saturday May 30th. Watch the electronic bulletin board for a reminder. We only have fifteen seeds so come early! If you would like to volunteer, or simply are seeking more information about the Fritz Farm garden, please get in touch or just come to our monthly meeting and get involved, for a day, a week or for the whole season. Or if you have a green idea stuck in your head, contact us, we want to hear it. The garden is a great use of land at Fritz Farm, help us put the farm back in Fritz. This entry was posted in Uncategorized on 17/04/2015 by The Author.